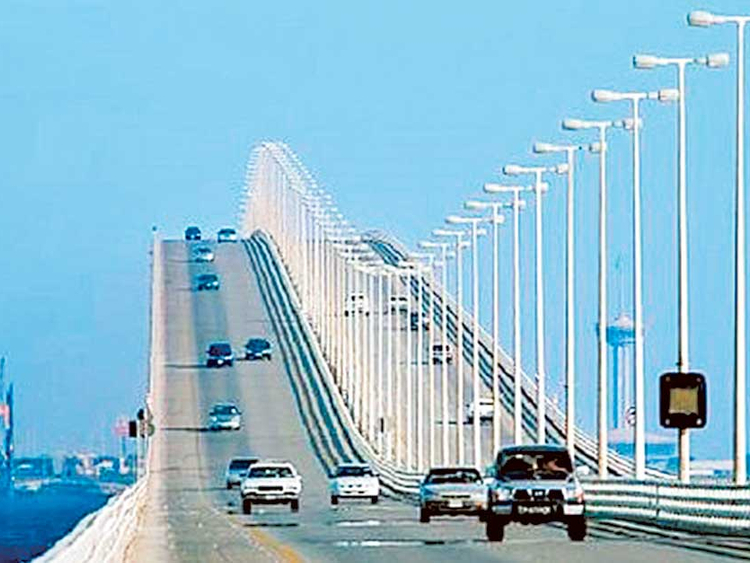 Manama: Bahrain and Saudi Arabia will start implementing the one-stop crossing on King Fahd Causeway on Monday. The measure will be applied initially in the special lane for three months before it is extended to cover all other lanes used by the ordinary passengers. Under the one-stop concept, drivers will go through only one post for routine border procedures that include passport control, car clearance and customs. Currently, drivers have to go through both Bahraini and Saudi crossings, which often results in heavy traffic congestion. The new measure is expected to facilitate the increasing cross-border trade and movement of visitors between the two countries. “Other topics discussed during the meeting included development of new vehicle lanes to increase the capacity of the King Fahd Causeway and upgradation of mechanism for dealing with large vehicles,” according to a report. In November 2015, some Saudi reports said the new one-stop border crossing concept would only be applied to Gulf Cooperation Council (GCC) citizens and holders of non-GCC passports will have to go through the two-stop border crossing. The concept called for dedicating some of the existing lanes at the causeway for the GCC citizens to facilitate the paper work. GCC nationals can travel visa-free through all member countries and they need to present their national identity cards at airports and border crossings. King Fahd Causeway, Bahrain’s only terrestrial link with another country, was officially inaugurated on November 26, 1986. It has become one of the busiest link in the Arab world, necessitating drastic changes to ensure the smooth flow of traffic.